Linda-Ann Stewart has many years of experience as a speaker, talking about how a person's beliefs, attitudes and expectations can color their life. She is available for short programs, breakout sessions, keynote speeches, and seminars. She can customize a motivational and educational program to help people recognize how their thoughts can negatively affect their performance and productivity, and show them how to find ways to change their thoughts to create positive attitudes and increased performance. This presentation can benefit managers, employees, and anyone affected by overwhelm. This presentation can benefit managers, employees, and anyone affected by anxiety. Stress is an everyday occurrence. Pressure from daily life builds up and negatively affects every aspect of a person's life, from their health to their mood. Finding a way to combat stress by unwinding, relaxing the muscles, and taking a mental vacation can reduce the pressure and help the individual have more resources to deal with the challenges of their life. This presentation will show participants a simple way to relieve stress and live a happier, healthier life. Participants will receive handouts to learn how to practice relaxation and the other techniques. This presentation can benefit managers, employees, and anyone affected by stress. Especially beneficial as a breakout session of a convention. "I've tried all the stress reducing techniques, from massage to exercise. But self-hypnosis, and its accompanying relaxation, is the only thing I've found that works for me." Stress is one of the worst by-products of our society, negatively affecting every level of life. It is known to decrease effectiveness at work, interfere with sleep, cause anxiety, erode harmony at home, reduce the immune system's effectiveness and cause many other problems. When a person is stressed, they tend to find nonproductive ways to deal with it, such as smoking, not exercising, eating too much and other self-destructive ways. Knowing this, it's worthwhile to learn an easy, safe, and convenient way to manage stress. This seminar will teach the participants how to deal with the physical and mental causes of stress and defuse them in a constructive way. This seminar can benefit managers, employees, and anyone affected by stress. "Linda-Ann presented this subject very clearly. I was skeptical about hypnosis, but it is not anything that I thought it was. It was very relaxing, and I enjoyed it. The stress in my shoulder and neck is gone." "I found the information on ways to deal with stress very valuable. The best part of the seminar was the relaxing time." "Linda-Ann explained the stress portion and the hypnosis portion of the seminar very well. It was helpful to review the physical manifestions of stress. Reinforcing the power of visualization and relaxation to help change was very beneficial. And the actual hypnotic relaxation was one of the best parts of the seminar." Everyone is creative, from the business person to the artist to the everyday problem solver. Whenever a person cooks a meal a new way, finds a solution to a pressing challenge, or sculpts a masterpiece, they're using creative energy. However, most people struggle with doubts, fears and self-criticism. Those fears keep them from accessing their natural creativity. Learning how the creative process works opens up the ability to trust it and be more innovative. When a person trusts their creative process, they become more effective and productive. This seminar is taught by a published writer, and award winning photographer and weaver. This seminar can benefit managers, employees, and anyone who uses creativity in solving problems. "Linda-Ann is great to work with! We received lots of positive feedback from the attendees. We were so grateful to have Linda-Ann share her joyful spirit and abundant creativity with us." "Very well-presented. I found it very valuable to learn the 'steps to releasing creativity' and silencing criticism." "The best part was getting in touch with my creativity. Seeing different ways to contact the inner self was very valuable." "Excellent. It was more than I expected." To contact Linda-Ann Stewart for more information or to schedule an event, email her at Linda-Ann@Cedarfire.com, call her at (928) 600-0452, or write to her at P.O. Box 10514, Sedona, AZ 86339. As a certified hypnotherapist in private practice since 1990, Linda-Ann Stewart has taught hundreds of people how to reduce stress, improve their self-esteem, break negative habits, improve their lives and practice self-hypnosis. She's a Professional Member of the National Speaker's Association-Arizona Chapter and is a frequent speaker at local service groups and community organizations. Linda-Ann has also given presentations, seminars, classes and workshops in Arizona and Las Vegas, at a national hypnotherapy symposium, and lectured around the Texas Gulf Coast. Linda-Ann also worked as a facilitator and tobacco-cessation specialist for the Yavapai County Health Department Tobacco-Free Partnership. 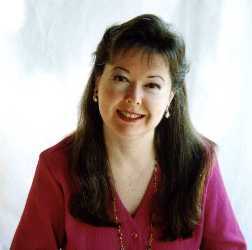 Her website, Cedarfire.com, contains numerous self-help and motivational articles.